HML? What Does That Even Mean? "HML" may not be an online acronym that's as popular or as widely used as others like BAE or SMH, but it's one that can add significant meaning to any message posted online or sent by text. It can be pretty difficult to decode a message when you're not sure which acronym is being used. Keep reading to find out what each interpretation really means and how to tell which is being used in a real-life text conversation or online comment. "Hit my line" is a catchphrase that translates to "call me" or "text me." The use of the word "hit" basically means the same as "call" or "text" while the word "line" is in reference to a person's phone number. HML as "hit my line" comes in handy when you want to ask somebody to get in contact with you. It's a cool and casual way to let someone know that you'll be waiting for their call or text message. "Hml whenever you're done studying." "Hey, u free rn? Hml when u have time to talk..."
"I told Johnny to hml tomorrow so we can get the details about next week." "Hate my life" is an expression that's pretty self-explanatory. People typically use it to exaggerate their negative emotions whenever an unfortunate or unwanted event affects them in some way. HML as "hate my life" is the opposite of LML (love my life). Even if you don't really hate everything about your life at the moment, saying "hate my life" can be an effective way to blow off some steam when you get the urge to communicate your negative experiences and feelings with others online or via text. "Car broke down on the way to my job interview. HML." "I've been summoned for jury duty when I'm supposed to be on vacation!!! Ugh hml..."
"I was just thinking about how much I hml when a bird suddenly pooped on my head." "Hit my line" and "hate my life" have completely different meanings, so it's important to identify the right one when you see it in a status update, comment or message. Here are a few questions you can ask yourself when you see HML out in the wild but aren't sure which interpretation is being used. Are they asking for a request, an opinion, or more information? Remember that "hit my line" is a demand for action. If the person saying HML sounds like they want you (or somebody else) to take some sort of action that might involve calling them or texting them, then they probably mean "hit my line" rather than "hate my life." Are they talking about a present or future situation? Since "hit my line" is typically used as a request or demand for information, it makes sense for it to be used in a present or future context. For example, if someone is requesting information they need now, tomorrow, next week, or some other point in the future, they might explain what it is that they need or why they might need it while instructing you or others to "hit my line." Are they explaining a negative event that they experienced? 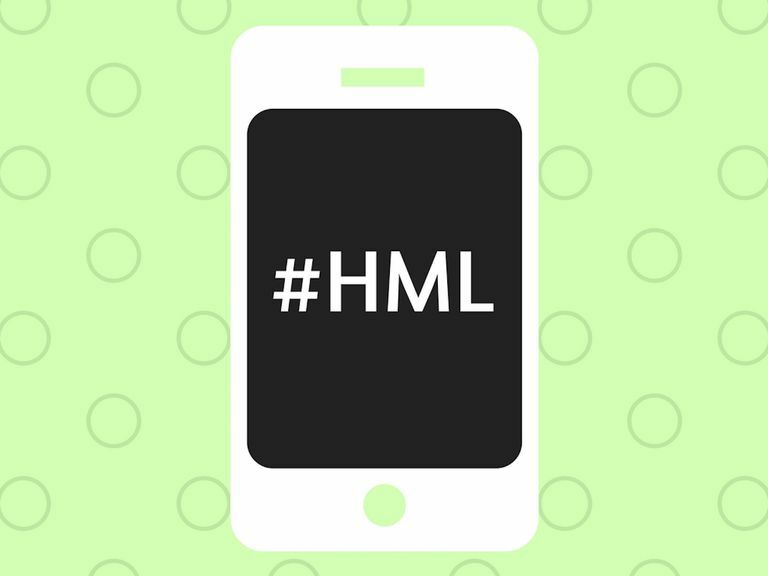 If someone adds HML to a message or comment that involves describing an event or experience that would be unpleasant or undesired, chances are they're trying to express the fact that they don't approve of what happened. In this case, "hate my life" makes more sense than 'hit my line." Do you sense negative feelings in their message? A negative experience or event doesn't necessarily need to be described for HML as "hate my life" to be used in a way that makes sense. Negative feelings are what really matter, so if someone focuses on communicating how upset, angry, frustrated, sad, disappointed, embarrassed, anxious, or worried they are while adding HML to their message, there's a good chance they mean to say "hate my life."